Today is #BellLetsTalk Day!! For every tweet/retweet using #BellLetsTalk or view of our official Bell Let’s Talk video, Bell will donate 5¢ to Canadian mental health initiatives! #BellLetsTalk Day is here! Spread the word and let’s #endthestigma around mental illness! Bell is also pleased to share information about a NEW initiative that directly impacts post-secondary student mental health. Yesterday, Bell Let’s Talk and The Rossy Family Foundation (The RFF) announced a joint $1,000,000 donation for the creation of a national standard for post-secondary student mental health to support student success on campuses across Canada. The RFF and Bell Let’s Talk have engaged the Mental Health Commission of Canada to lead the project to establish the standard in collaboration with Canada’s standards setting organizations. The new standard will establish mental health best practices at Canadian universities, colleges and institutes to support student mental health and academic success and developed in collaboration with students, staff and faculty. Read more about the announcement here. Students will experience a short (15 minute) Banner service interruption during the server downtime and may get a range of error messages when attempting to access Banner student data through MyUFV. Blackboard Learn, My UFV, student files and student and employee email will still be available. Monday, January 29, raven making in the atrium, 2 to 3 p.m.
Wednesday, March 21, raven making in the atrium, 2 to 3 p.m.
For more information about the craft sessions, contact Josephine Charlie in the Indigenous Student Centre, 604-792-0025 local 2473, josephine.charlie@ufv.ca. For more information about the raven making workshops, see the library’s Libguide: http://libguides.ufv.ca/c.php?g=697360. Click on the Reconciliation and Reconnection tab for a video demonstration of paper raven making. We are experiencing access problems on some computers again this afternoon. Elsevier Technical Support has been contacted. We apologize for any problems this may be causing our users. SCIENCEDIRECT ACCESS PROBLEMS HAVE BEEN RESOLVED. Monday, January 8th at 10:50am. We are currently experiencing problems accessing ScienceDirect, and we appreciate your patience while we investigate. We will update this post once access has been restored. 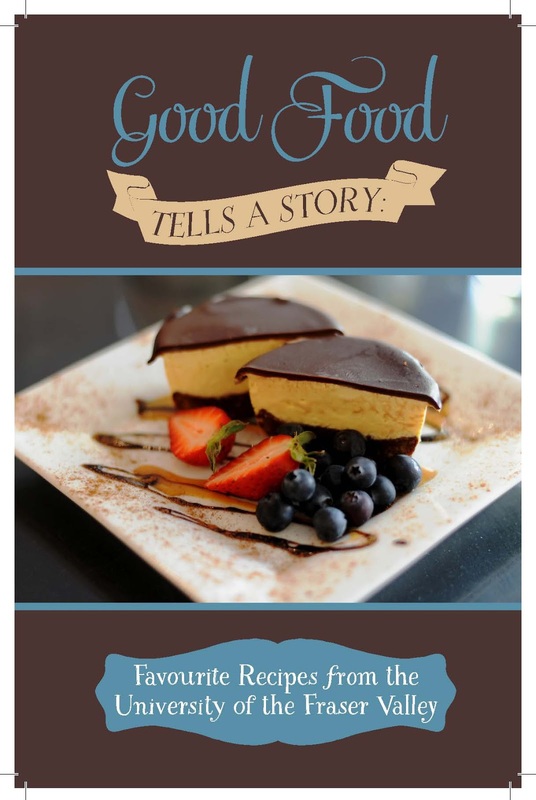 UFV Library's Good Food Tells a Story gets a review! It's obvious that we love our sweets! 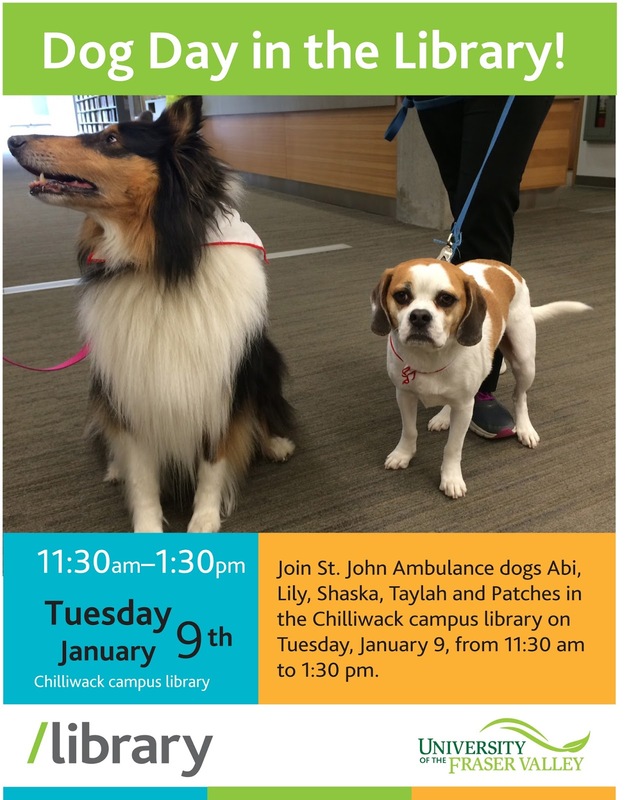 Join St. John Ambulance dogs Abi, Lily, Shaska, Taylah and Patches in the Chilliwack campus library on Tuesday, January 9 from 11:30am to 1:30pm.